18-25 years as on 01 -01 -2019. 10th Pass plus National Apprenticeship Certificate (NAC) granted by NCVT. OR 10th Pass plus ITI for recruitment in Civil Engineering, Mechanical, Electrical & S& T Departments. 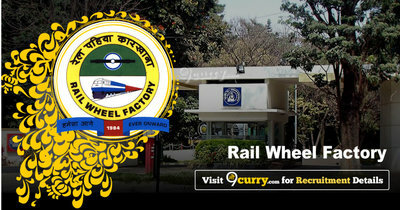 Eligible candidates may send their application in prescribed format to Rail Wheel Factory, Yelahanka, Bangalore on or before 23 Feb 2019, along with the relevant documents.